Any physical activity is good for you; running has been particularly popular because of the famed “runner’s high.” But the state of euphoria that comes with reduced anxiety and a diminished ability to feel pain can be achieved by cycling as well. The sport gets your blood flowing and triggers the release of endorphins. The reasons to try biking are endless. The trail is always changing, thus the brain always stays engaged. You’ll get to beautiful places much faster than hiking. Riding will open a new world for you, as the bike will take you to (possibly secret) gems a car simply can’t. It’s also a way to stay active if you’ve been injured because it’s low-impact and works every part of the body. Also, a study analyzing 10,000 people showed that riding a bicycle for at least 20 miles in a week, diminishes your risk of having coronary heart disease almost by half. 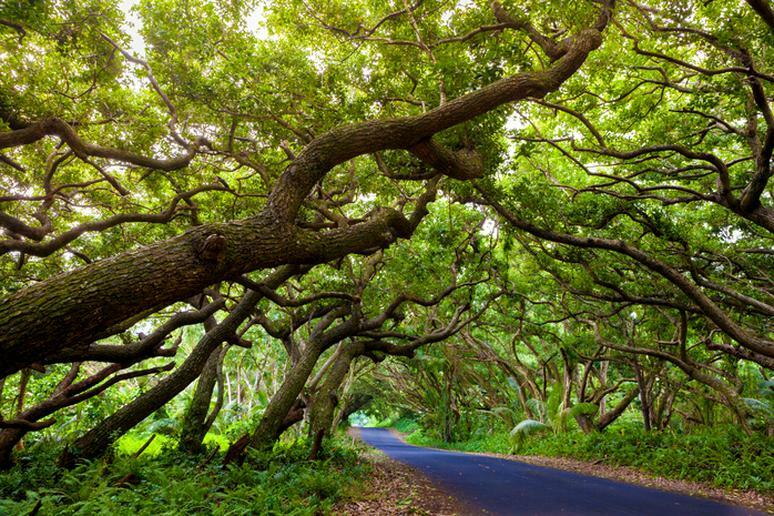 You can explore Hawaii’s Big Island and its warmth, color and history on a bike. You’ll see what it’s like to ride along gorgeous coastal roads and pedal through plush coffee plantations and immense lava fields. This Bicycle Adventures tour is 7 days during which you’ll circumnavigate the perimeter of the Big Island, visit many of its historic and sacred places, and spend two nights discovering Kilauea’s secrets in Hawaii Volcanoes National Park. You also get to snorkel and hike. Visiting national parks is an amazing experience in itself but exploring their unique features on a bike, which gets you to places cars can’t is an absolute thrill. Bicycling Magazine’s editor called it “the most awe-inspiring and unique landscape I’ve ever pedaled through,” according to the tour’s site. 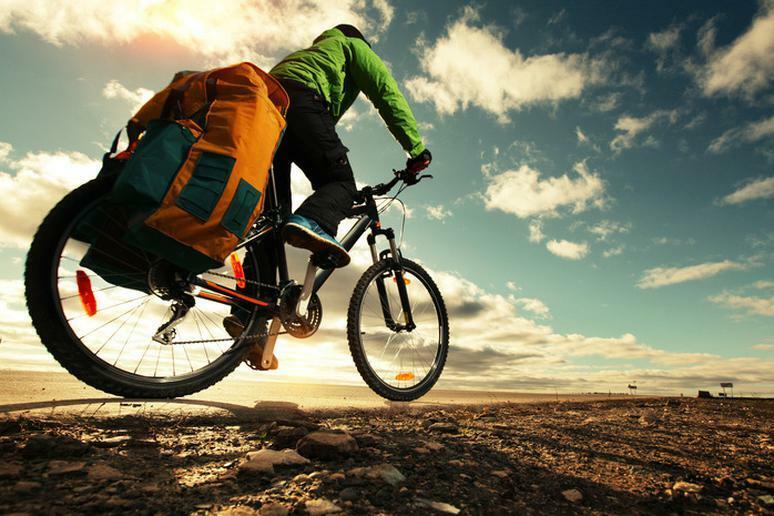 There are so many different trails of dirt and paved roads you can follow, cyclists of all levels will be satisfied. 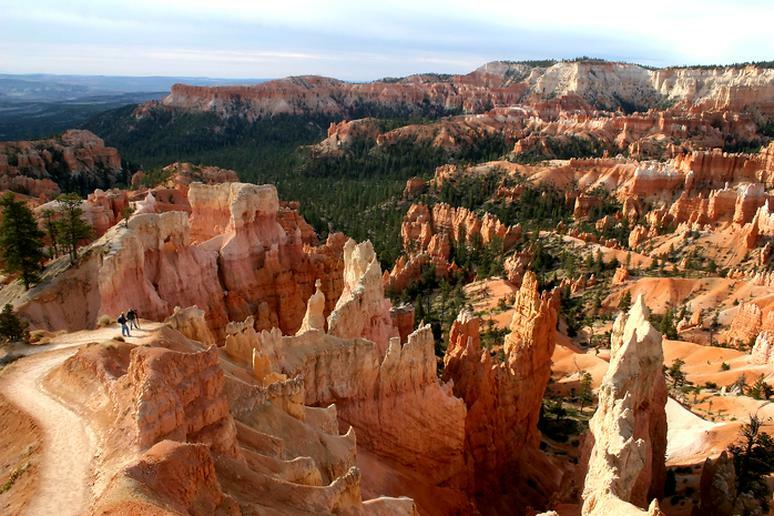 This 6-day biking and hiking tour offers “an intimate encounter with the canyonlands - from curving roads to labyrinths, aspen forests and breathtaking panoramas.” Bonus activities include watching the sun rise over Bryce's hoodoos and hiking into the Narrows. You will spend 8 days soaking up mighty views of two of Canada’s most spectacular parks and the stunning Glacier National Park in Montana. There won’t be a lot of traffic on the roads, which will make the experience of enjoying clear blue lakes, massive glaciers, breathtaking waterfalls, colorful wildflowers and wildlife even more fun. This tour will also take you to the magnificent Going-to-the-Sun Road and Canada’s equally splendid Icefields Parkway. 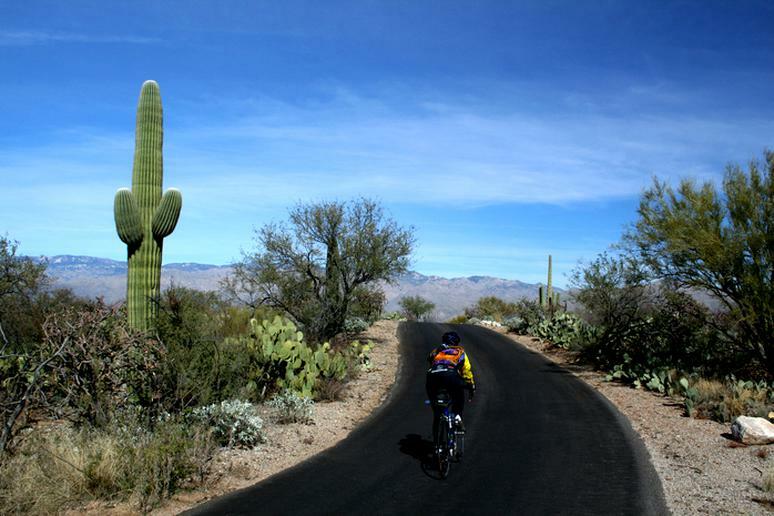 When the weather gets chilly, the best cyclists and triathletes head to Tucson. The Cycling House offers all-inclusive camps full ride support, full-time bike mechanics and freshly prepared meals. Everything is taken care of for you so you can focus only on improving your riding skills, build endurance, and relax and have fun at the same time. They offer several new unique camps for the new season including a ladies only camp, beginner tri-camp, a long distance triathlon camp and an adventure style gravel camp. Kill two birds with one stone – visit two of the most marvelous national parks in the U.S. on a bike tour. This new 7-day point-to-point Montana cycling tour is the most difficult trip the Cycling House offers. You’ll ride across the Continental Divide over Going-to-the-Sun highway, and then parallel the Rocky Mountain Front all the way to Yellowstone. The ride involves a 32-mile sustained climb with grades no steeper than 6 percent. The rewards include striking views, sights of wildlife, and an opportunity to ride along almost every type of terrain in Glacier Park. This Duvine cycling vacation will show you the best of the Golden State. Cycle the rugged California Coast through towering redwood forests on this 6-day adventurous trip. Explore the old-fashioned towns in the region and try some of the best wines in the country. 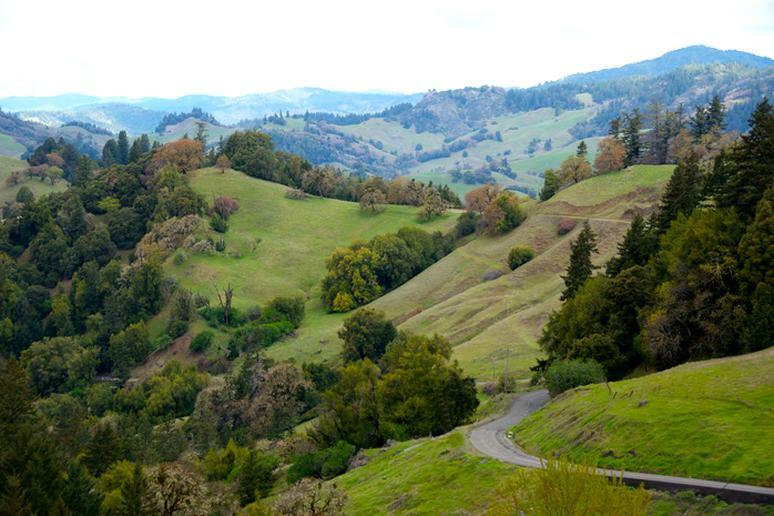 You’ll see rolling hills of vineyards and shady oak groves, explore the picturesque Dry Creek Valley, have a picnic beneath 300-foot tall giant trees, and bike through coastal mountains. The Blue Ridge Parkway is one of the most scenic roads in the country and the Southern Appalachians offer some of the most breathtaking views. So why miss the chance to bike from one to another? 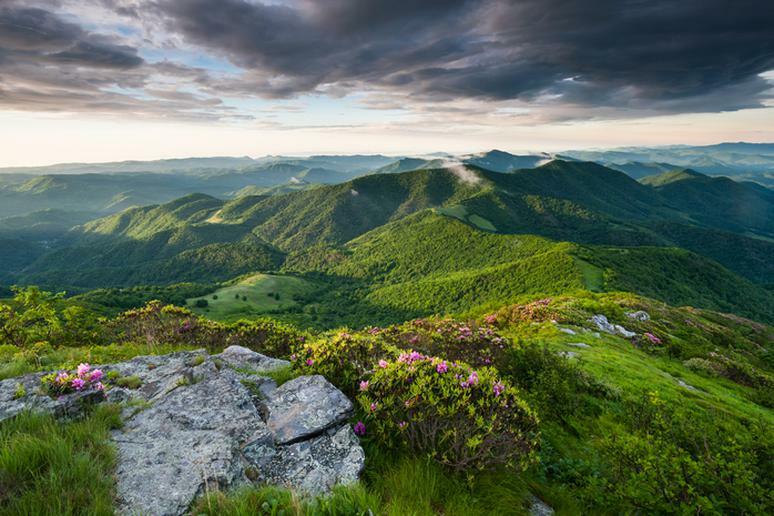 This 6-day Trek Travel tour in the mountains of western North Carolina you also astonish you with the highest peak east of the Mississippi, ancient rivers and waterfalls. One of the highlights of the trip is on Day 3: “The route begins on the many switchbacks of Town Mountain as you climb out of town and drop onto the Parkway at Craven Gap. From here it's a 13-mile climb on mostly gentle grades, punctuated by panoramic views of the Blue Ridge Mountains, as you make your way to the Craggy Gardens area.” Asheville is also one of the best trail running towns in the U.S.
“In the San Juans, to-do lists and busy schedules recede and are replaced by placid water, distant peaks, and the rhythm of simple fishing villages along the Washington shore,” Trek Travel, which offers this 6-day bike tour, says. These peaceful islands have a lot of lush vegetation and quiet country roads, making a wonderful location for your next active-travel bicycle vacation. You'll trade bicycles for kayaks on the fifth day to explore the pristine inlets and rocky coves of this beautiful coastline. 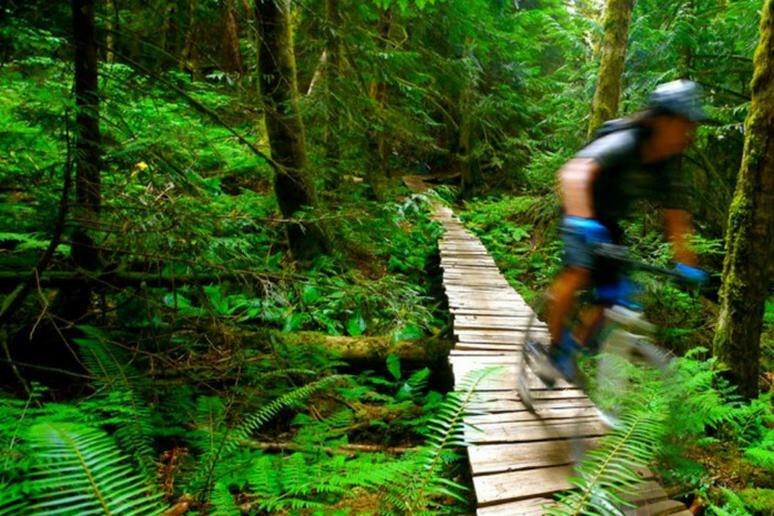 Southern British Columbia is where some of the most admirable and iconic mountain bike trails on the planet are. 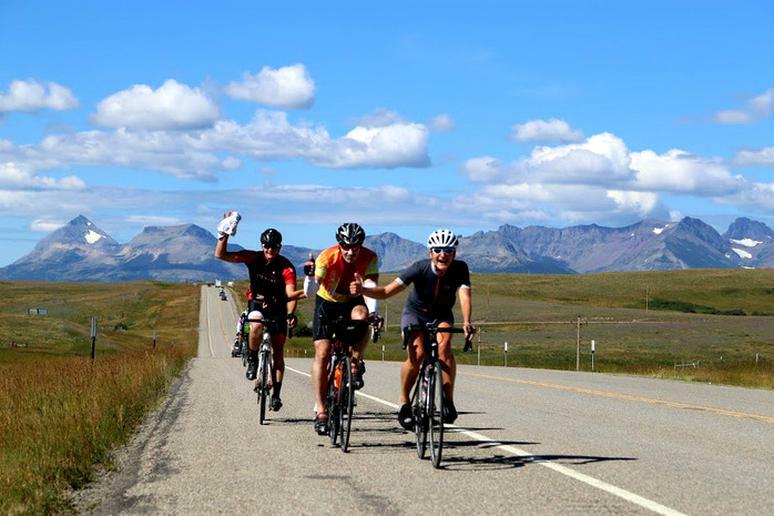 The 6-day tour, which is not for novice cyclists, will cover 125 miles of trails that cut through Canada's Coast Mountains. There is also a skills session with a guide. You’ll get to explore deep into the forested backcountry and discover what makes this a world-class mountain biking paradise. During the trip you’ll visit and experience the local culture in the towns of Squamish, Whistler and Pemberton and take a dip in one of the valley's pristine lakes. This is a 6-day journey from Anchorage to Prince William Sound, a remote section of Alaska experienced by few travelers. 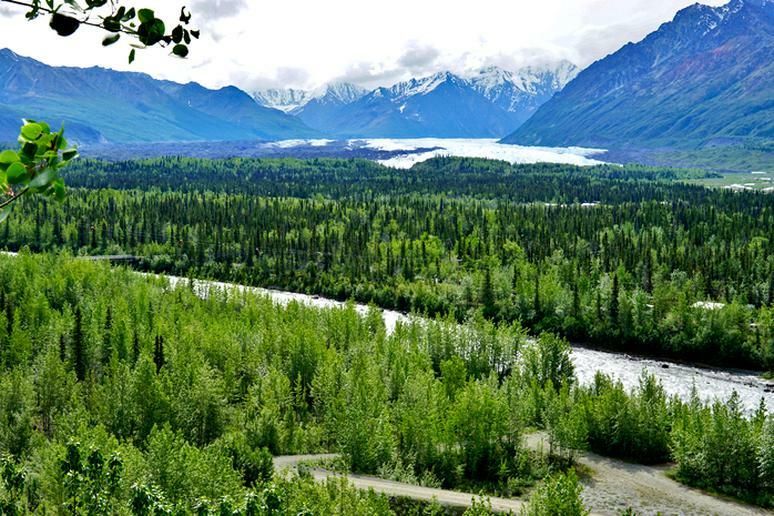 Some of the highlights include riding in the shadow of Wrangell-St. Elias National Park's 16,000-foot peaks, which is nicknamed the mountain kingdom of North America, getting on a ferry across Prince William Sound to watch for seals and bald eagles, and pedaling beside the mighty Matanuska Glacier. Cycling is not all about riding a bike. It’s also about waves and wine, at least on this tour. 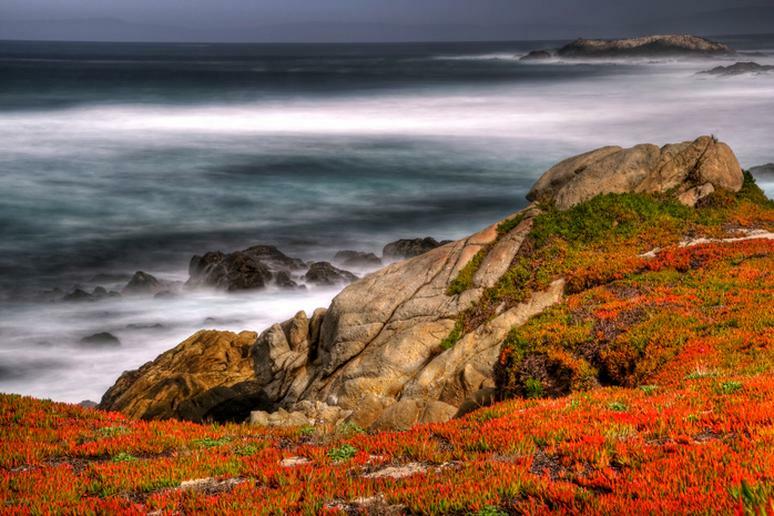 You’ll ride the famous 17 Mile-Drive, rolling through dramatic coastline and catching a view of Pebble Beach, pedal the cliff-hugging Carbrillo Highway past wind-torn cypresses and soak up the bohemian vibe of Big Sur Village. Other moment to look forward to includes admiring the McWay Falls, cascading 80 feet into turquoise ocean waters, and discovering the vineyard-laden Santa Ynez Valley. Explore the high desert beauty and back roads of New Mexico. 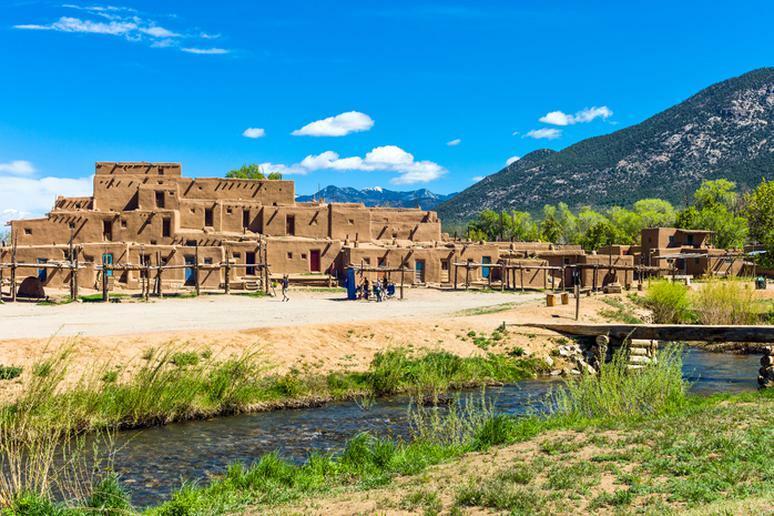 The Backroads tour will have you ride past white cliffs and sagebrush as you descend into the Chama and Ojo River Valleys; pedal to Taos, riding up the wide rift valley of the Rio Grande and across the Gorge Bridge, the fifth highest in the U.S.; stroll through 1,000 years of history during a tour of the Taos Pueblo; and bike the Enchanted Circle, a picturesque byway that bends around the base of 13,161-foot Wheeler Peak and offers infinite panoramas. 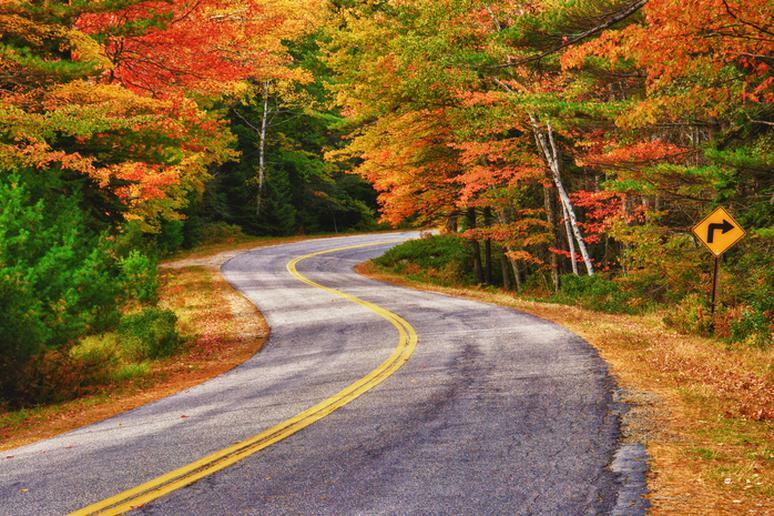 There is nothing like the awe-inspiring displays of fall foliage in New England. 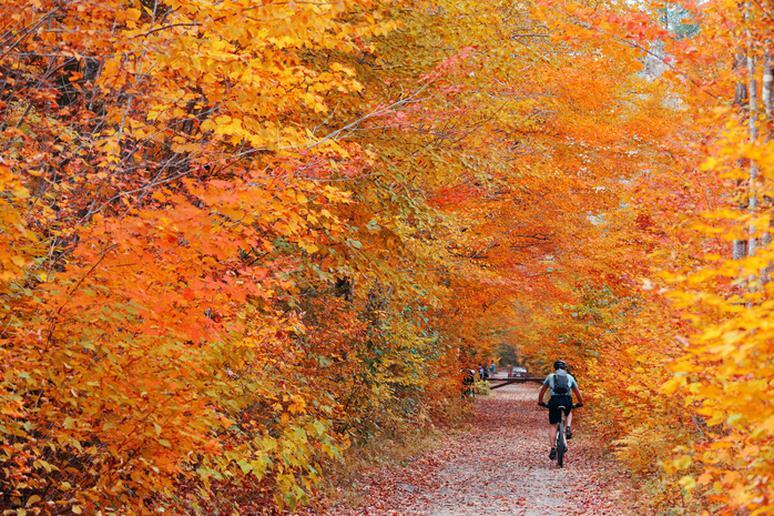 Take the chance to bike tough the High Peaks backcountry during peak foliage season, featuring an optional extension to Richardson Lake and historic Rangeley Lakes camps. 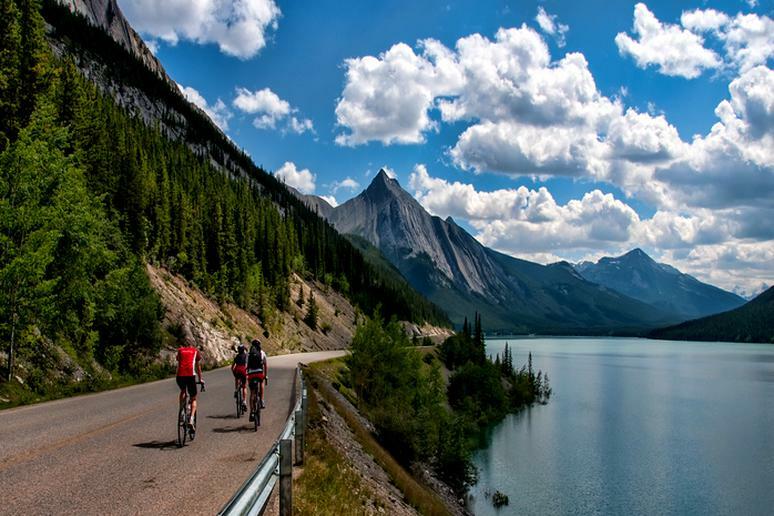 Some of the highpoints of the Ciclismo Classico tour are hiking through dense, secluded natural forests, lake and river edges and a guided canoe trip on Flagstaff Lake, view of the Bigelow Mountains. 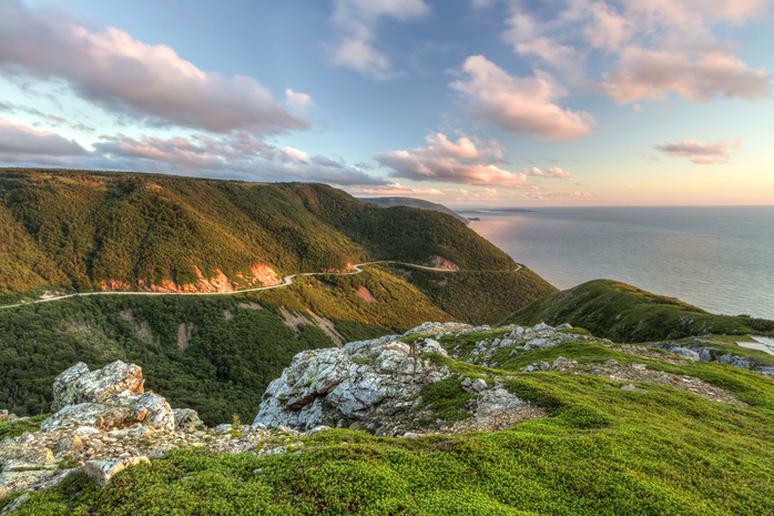 On this weeklong tour through the Canadian province you’ll enjoy scenic rides among unspoiled crowd-free beaches, charming little villages, and striking wineries. Savor freshly harvested farm food and seafood, and explore diverse terrain, including marshlands and forests. 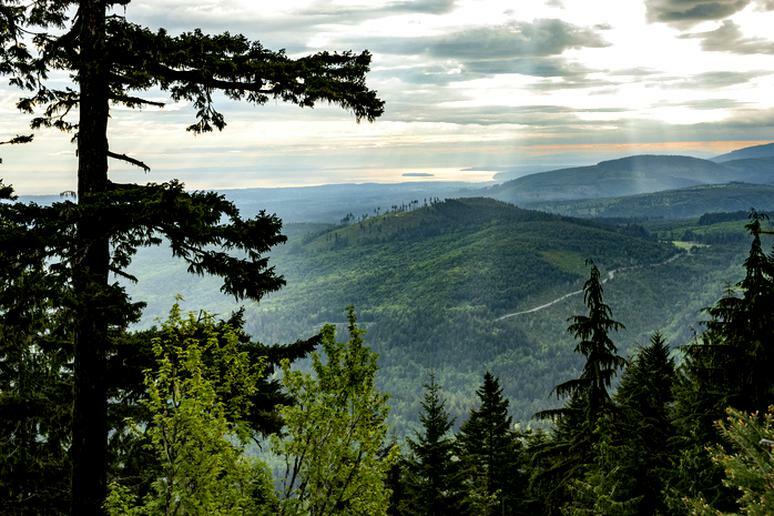 You’ll pass by the region’s best hiking trail. Don’t miss the chance to hop off the bike for a bit and stretch your legs on a short, easily manageable scenic hike. Vermont is not the only place to visit for blazing fall colors but it’s certainly among the best. This Sojour bike trip is an award-winning Vermont bicycle tour that sells out quickly. The trip begins with three days of cycling in the Champlain Valley before winding north and east to Stowe for three days. You’ll ride thought some of the state’s timeless covered bridges and bike the narrow route through the cliffs of Smuggler's Notch. You’ll also get to taste local beer, vodka and delicious organic food. This eerie ride through one of the most visited national parks in the U.S. is scheduled for November. 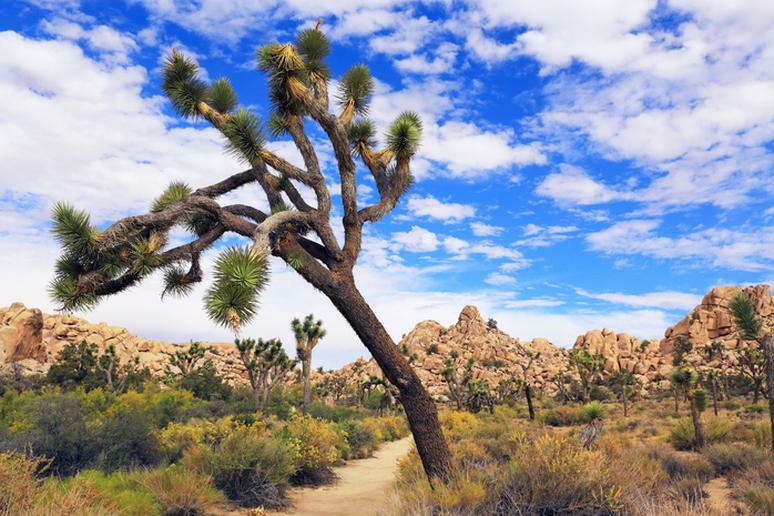 Joshua Tree National Park is the right choice for adventurers who really want to connect with nature and the wilderness. The exclusive trip features magnificent cycling routes, extraordinary hiking, and distinctive accommodations in Palm Springs and Borrego Springs. “Summer rains portend glorious wildflower blooms this fall while the combination of select accommodations and breathtakingly diverse scenery form the ideal framework for this exciting new tour.” Reservations must be placed by August 26.